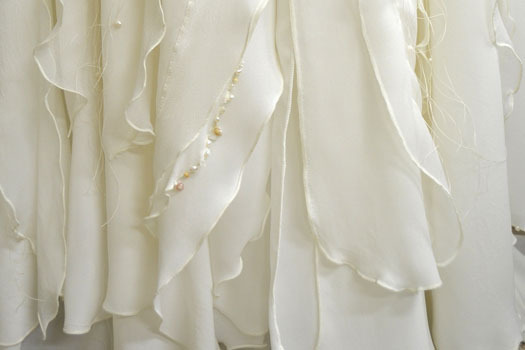 Delicate beaded flowers bloom across the bodice of this ethereal wedding dress designed for a goddess. 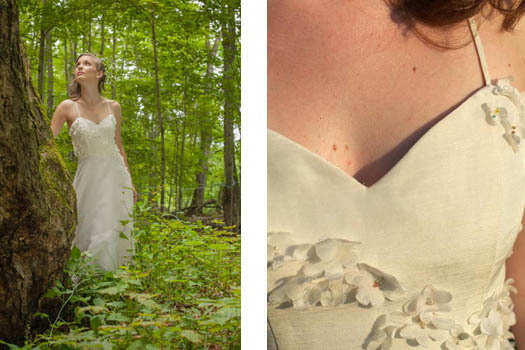 Persephone is an ethereal wedding dress that captures the freshness of spring. 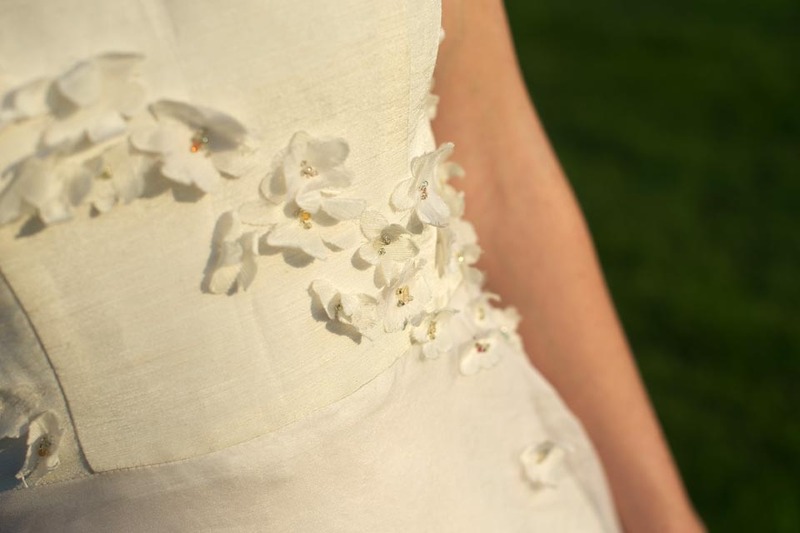 Wispy silk blossoms are beaded across a hemp silk bodice and descend to the hip. Silk organza airily falls over a layer of sheer hemp silk. The a-line skirt flares at an asymmetrical seam and gradually lengthens to a floor-length train at back hem. Spaghetti straps crest the shoulders and traverse the spine highlighting the small of the back. Tara Lynn can make Persephone your own by adding to to her your personal goddess style. 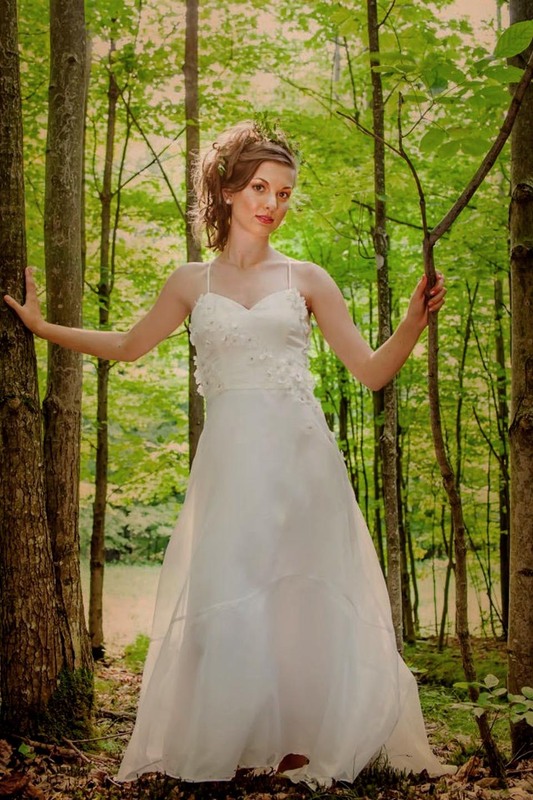 She is an ethical wedding dress canvas, simple, beautiful, whimsical and easy. The slide show below the Persephone gallery lends some inspiration to the possibilities. 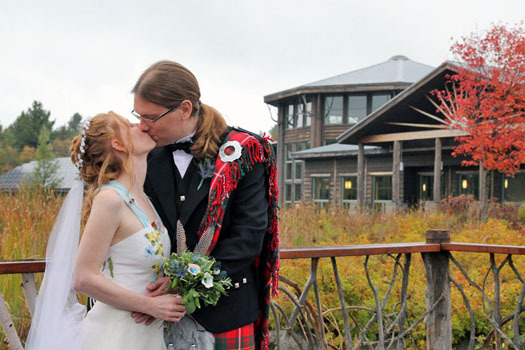 An ethereal eco wedding dress custom made for a palaeoanthropologist, for a wedding at the Wild Center Museum in NY. 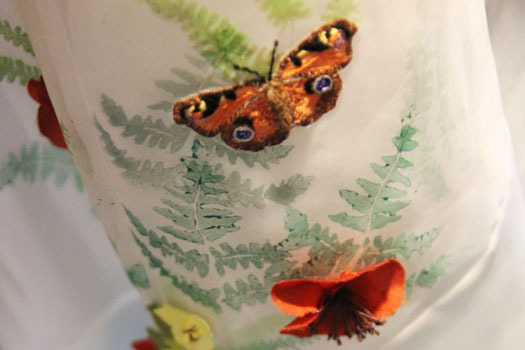 Each butterfly on Fire’s wedding dress represented a late close friend or relative, present among a riot of colorful flowers. 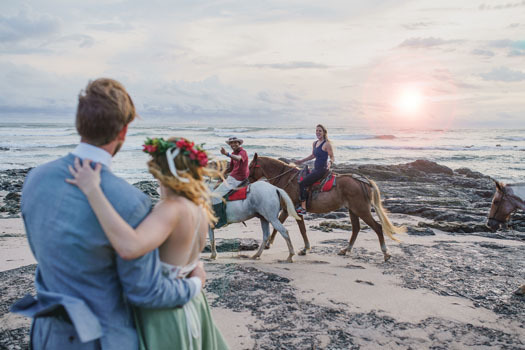 A Persephone wedding dress custom made for a Brazilian Goddess with seashells, charms and pearls. 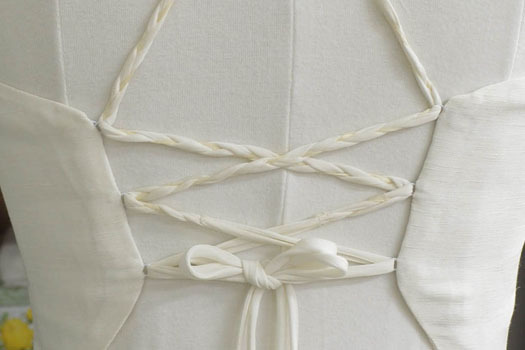 Braided straps of silk gauze and fine hemp twine laced up the back of Manu’s couture wedding dress. 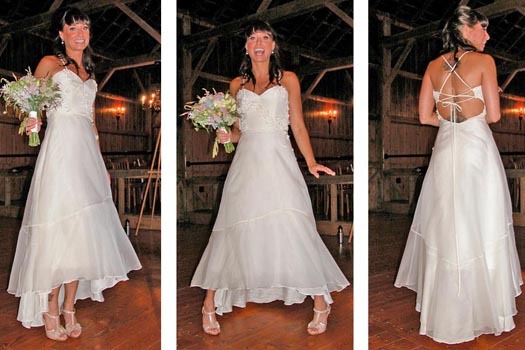 Leanna models the same Persephone dress worn in the above gallery photos, however, she is taller so you see the dynamic change in the length of the hem from front to back.